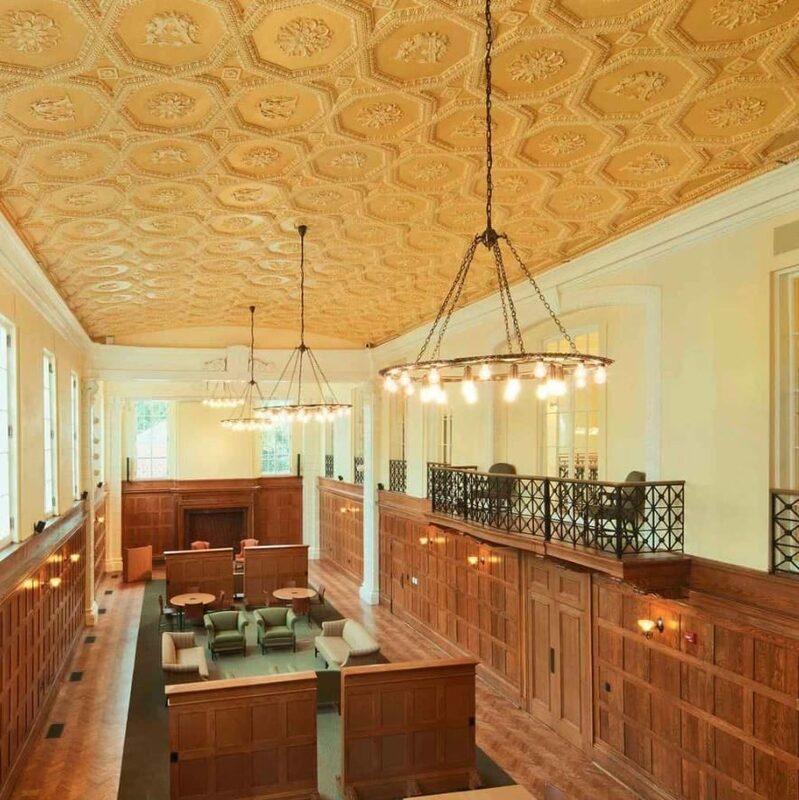 Garrett Hall Restoration | University of Virginia | John Canning & Co.
Canning Co.’s challenge at Garrett Hall involved reattaching and stabilizing plaster and creating a new ceiling and beam structure independent of the severely compromised building. Garrett Hall at the University of Virginia is positioned in the corner of Central Campus. The building designed by McKim, Meade, and White, was originally built in 1909 as the formal Dining Hall. 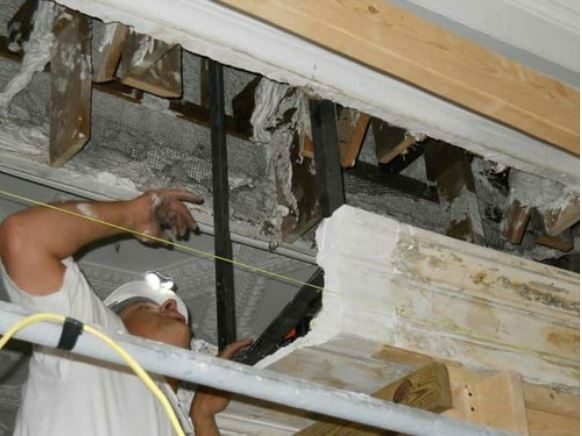 John Canning Co. reattached the vaulted main dining room ceiling while also installing additional structural supports into the masonry and wood structure. Canning also fabricated and installed ornamental plaster, selectively removed large sections of plaster beams, pilasters, and other elements to access the structure for the purposes of adding steel and wood supports. This was followed with reinstalling the saved plaster pieces. Canning Co. also designed and installed a period decorative paint scheme that was based inspired by other period schemes of that time.